FacilitiesThe hotel offers its guests a range of services and facilities, making their stay a wonderful experience. Services and facilities at the hotel include internet access and wireless internet access.RoomsEach accommodation unit features a double bed or a sofa-bed. A safe is also available. 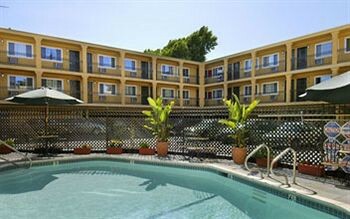 Convenient features include internet access, a telephone, a TV, a DVD player and wireless internet access. In each of the bathrooms, guests will find a spa bath and a hairdryer.Sports/EntertainmentSport and leisure options are offered by the hotel and third-party operators. The hotel offers an outdoor pool. Guests can recline in the luxurious hot tub and be massaged by the hydro jets.